Air plants or tillandsia make an ethereal addition to an ornament terrarium or hanging terrarium, and are among the most common terrarium plants. But how to water these spiky beauties? Traditional air plant care indicates a periodic soak in water to allow for watering. However, it may be difficult to remove an air plant from an ornament terrarium with a small opening. "If your air-plants are in a small terrarium and you are unable to remove them for watering, we recommend misting them through the opening once weekly. This method can also be used for our hanging globe terrariums, wall pockets, and apothecary terrariums. Pay close attention that your plants are getting adequate moisture, but are not sitting in water within any terrarium." Remember that using distilled water in terrariums can reduce the amount of mineral deposits that develop on the glass. Be sure to visit Air Plants 101 at Mass Appeal to learn more about air plant care. Be careful using distilled water! 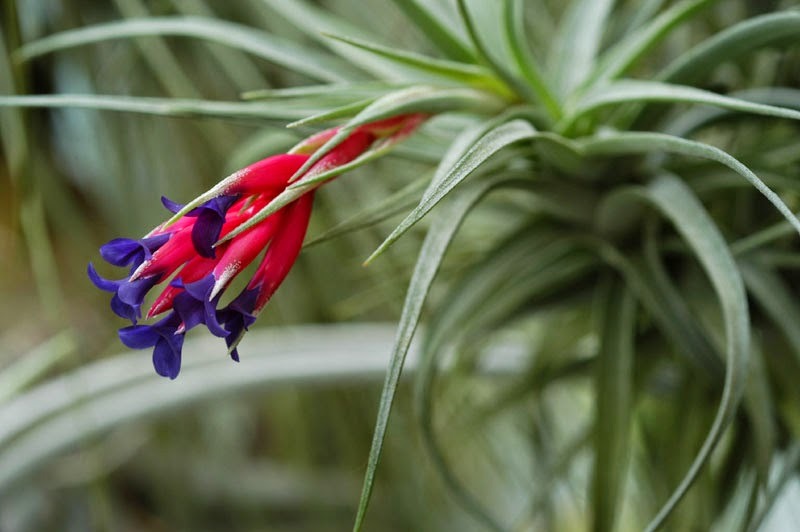 It does not have the nutrients needed and can actually be harmful to tillandsia's over time. Best to use rain water, pond water, or bottled water. Tap water can be ok if you let it sit for a few hours to dissipate the chlorine! Thanks for that information Ryan. Best to let the tap water sit for 24-48 hours to let the chlorine in the water to dissipate. Chlorine is harmful to plants.